1. What does it mean to say that Linguistics is a science? The field uses empirical observations to develop theories of language behaviour. 2. Each of the following sentences represents something someone might say about language. Which of them illustrates a descriptive view of language? The use of quotative like in sentences such as, “She was like, I can’t believe you did that!” began to enter Canadian English with the generation of speakers born in 1971. 3. Which of the following kinds of data would a linguist be likely to observe? Whether Korean includes tones that change the meaning of words. 1. Newspaper headlines occasionally have unexpectedly funny interpretations. One example is: Two cars were reported stolen by the police yesterday. Which part of your mental grammar leads to the possibility that the police could have done the stealing or the reporting in this headline? Syntax, Semantics. 2. Newfoundland English has some characteristic differences to standard Canadian English. The following sentences are grammatical in Newfoundland English: I eats toast for breakfast every day. You knows the answer to that question. What part of the mental grammar of Newfoundland English is different to Canadian English in these examples? Morphology. 3. When speakers of Hawaiian pronounce the English phrase, “Merry Christmas”, it sounds like: mele kalikimaka. What part of the mental grammar of Hawaiian is responsible for how the English phrase gets pronounced? Phonology. 1. What does it mean to say that mental grammar is generative? The principles of mental grammar allow us to form completely novel sentences, and to understand them when we hear them. 2. 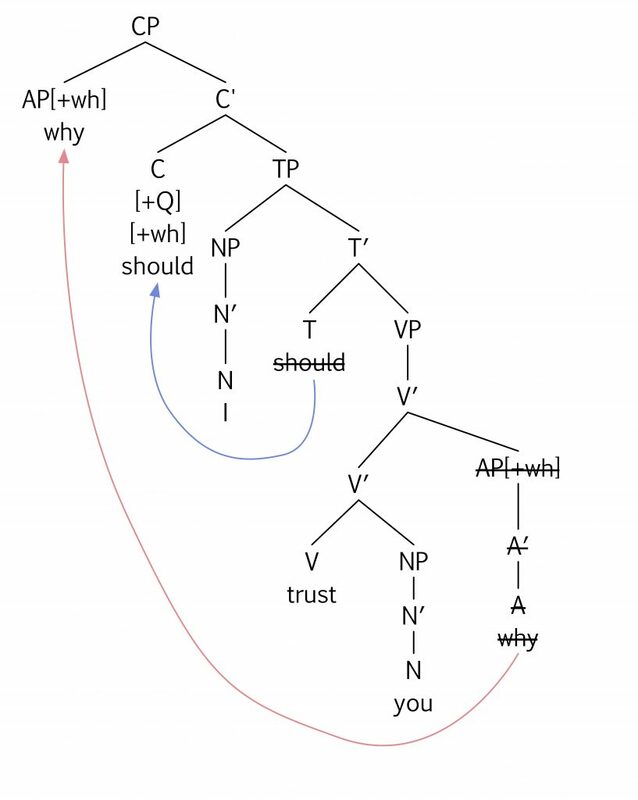 The systematic principles of English phonology generate some word forms but not others. Which of the following words could be a possible word in English? Klaff. 3. 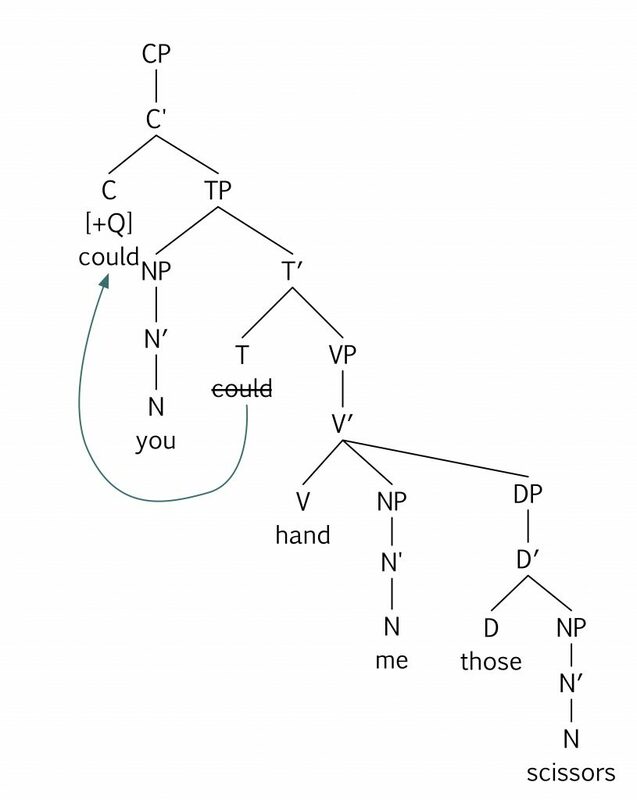 The systematic principles of English syntax generate some sentences but not others. Which of the following sentences is not possible in English? Herself have wrote these excellent book. 1. It’s important to study Latin because Latin is more logical than other languages. False. 2. Spending too much time texting will ruin your ability to write proper English. False. 3. The dictionary gives the only correct meaning and pronunciation for words. False. 1. What is the voicing of the last sound in the word ‘soup’? Voiceless. 2. What is the voicing of the last sound in the word ‘life’? Voiceless. 3. What is the voicing of the last sound in the word ‘seem’? Voiced. 1. What is the place of articulation of the FIRST sound in the word ‘minor’? Bilabial. 2. What is the place of articulation of the FINAL sound in the word ‘wit’? Alveolar. 3. What is the place of articulation of the FIRST sound in the word ‘photography’? Labiodental. 1. The vowel sounds in the words neat and spread are both spelled “ea”. Do the vowels in the two words sound the same as each other or different? Different. 2. Are the final sounds in the words face and mess the same as each other or different? Same. 3. Are the first sounds in the two words gym and gum the same as each other or different? Different. 1. What kind of sound is the first sound in the word early? Vowel. 2. What kind of sound is the first sound in the word junior? Voiced consonant. 3. What kind of sound is the first sound in the word winter? Glide. 1. What is the articulatory description for the consonant sound represented by the IPA symbol [p]? Voiceless bilabial stop. 2. What is the correct articulatory description for the consonant sound represented by the IPA symbol [ð]? Voiced dental fricative. 3. What is the correct articulatory description for the consonant sound represented by the IPA symbol [ʃ]? Voiceless post-alveolar fricative. 1. What is the articulatory description for the vowel [i]? High front unrounded tense vowel. 2. What is the articulatory description for the vowel [ɛ]? Mid front unrounded lax vowel. 3. What is the articulatory description for the vowel [ɑ]? Low back unrounded tense vowel. 1. What is the diphthong sound in the word in the word proud? [aʊ]. 2. What is the diphthong sound in the word in the word rain? [eɪ]. 3. What is the diphthong sound in the word in the word sigh? [aɪ]. 1. The video indicated that the word funnel can be transcribed to indicate that the second syllable consists of a syllabic [l̩]. The word elbow is also spelled with the letters ‘el’. Say the two words to yourself several times. Which is the correct transcription for elbow? [ɛlboʊ]. 2. The words human and manager both contain a syllable that is spelled with the letters ‘man’. In which word does that syllable contain a syllabic [n̩]? Human. 3. In the word umbrella, is the [m] syllabic? No. 1. The following city names all contain the letter ‘t’ within the word. In which of them is the letter ‘t’ pronounced as [tʰ]? Victoria. 2. The following words all contain the segment /k/. In which of them is it pronounced as the allophone [kʰ]? Accomplish. 3. The following words all contain the segment /p/. In which of them is it pronounced as the allophone [pʰ]? Appearance. 1. What articulatory process is at work when the word bank is pronounced as [bæŋk]? Assimilation (Anticipatory / Regressive). 2. What articulatory process is at work when a child pronounces the word yellow as [lɛloʊ]? Assimilation (Anticipatory / Regressive). 3. What articulatory process is at work when the word cream is pronounced as [kɹ̥ijm]? Assimilation (Perseveratory / Progressive). 1. What articulatory process is at work when the word idea is pronounced as [ajdijɚ]? Epenthesis. 2. What articulatory process is at work when the word gorilla is pronounced as [ɡɹɪlʌ]? Deletion. 3. 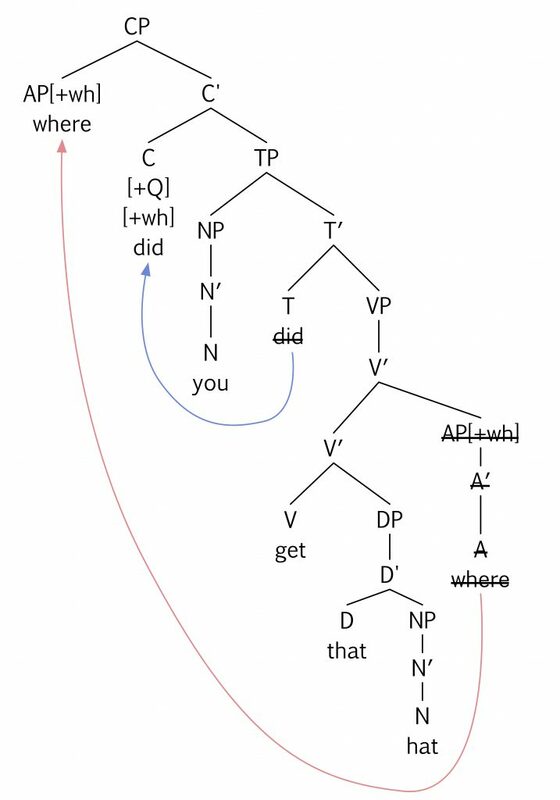 What articulatory process is at work when the word you is pronounced as [jə]? Reduction. 1. Young children’s voices are usually recognizably different from adult’s voices. Which factor is likeliest to be different between children’s speech and adults’ speech? Pitch. 2. In English, yes-no questions often conclude with rising pitch, whereas wh-questions often have a falling pitch on the final words. Is this pitch difference a difference in tone or in intonation? Intonation. 3. English uses pitch as one factor in syllable stress. There are many English pairs of words like record (noun) and record (verb), which are spelled the same but differ in their stress patterns. Which of the following is true for this pair of words? The first syllable has a higher pitch than the second in the noun record. 1. Are the phonetically different segments [m] and [n] phonemically contrastive in English? Yes. 2. 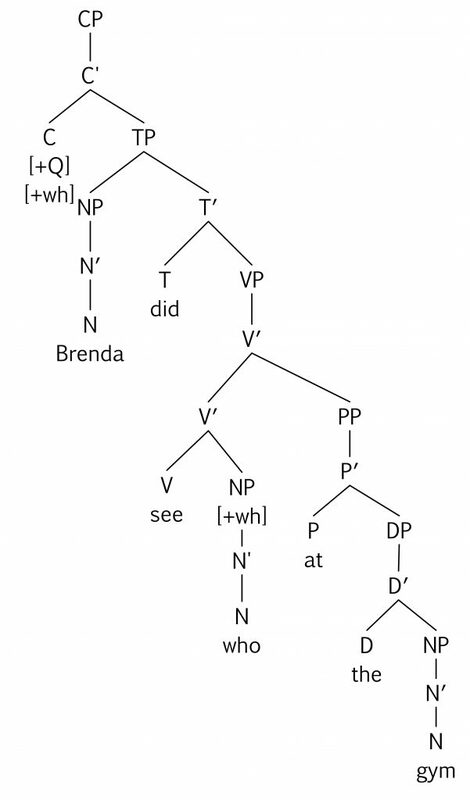 Are the phonetically different segments [p] and [pʰ] phonemically contrastive in English? No. 3. Do the words sight and site form a minimal pair in English? No. 1. Remember that in English, voiceless stops are aspirated at the beginning of a word and the beginning of a stressed syllable, but never in the middle of a word nor at the end of a word. Which term best describes this pattern? Complementary distribution. 2. The symbol [l̴] represents a velarized [l]. Looking at the following set of transcribed English words, what can you conclude about [l] and [l̴] in English? [l] and [l̴] are in complementary distribution in English. 3. Remembering that the alveolar flap [ɾ] appears in a predictable environment in English (see Section 3.9), which statement is true for English? The segments [t] and [ɾ] are allophones of the same phoneme in English. 1. These two segments — [w] [o] — have many features in common. Which feature distinguishes them? [syllabic]. 2. These two segments — [p] [f] — have many features in common. Which feature distinguishes them? [continuant]. 3. These two segments — [p] [b] — have many features in common. Which feature distinguishes them? [voice]. 1. In the following set of segments, which segment must be excluded to make the remaining segments constitute a natural class? [æ]. 2. In the following set of segments, which segment must be excluded to make the remaining segments constitute a natural class? [f]. 3. This set of segments constitutes a natural class: [i ɛ æ]. Which segment could you add to the set while still preserving the natural class? [ɪ]. 1. Which phonological rule accurately represents the process, “vowels become nasalized before a nasal consonant”? 3. Which sentence accurately describes the process depicted in this phonological rule? The segment [ə] is epenthesized following a strident consonant. 1. The phonology of Thai contains a three-way contrast between voiced /b/, voiceless /p/, and aspirated /pʰ/. How likely is it that a six-month-old baby growing up in an English-speaking household would be able to hear the difference between Thai [p] and [pʰ]? Very likely. 2. Arabic phonology includes a contrast between uvular and pharyngeal fricatives. How likely is it that a two-year-old growing up in an English-speaking household would be able to hear the difference between these two places of articulation? Very unlikely. 3. In the various dialects of Chinese, there is no phonemic contrast between tense and lax vowels. How likely is it that a four-month-old baby growing up in a Mandarin Chinese-speaking household would be able to hear the contrast between English [e] and [ɛ]? Very likely. 1. 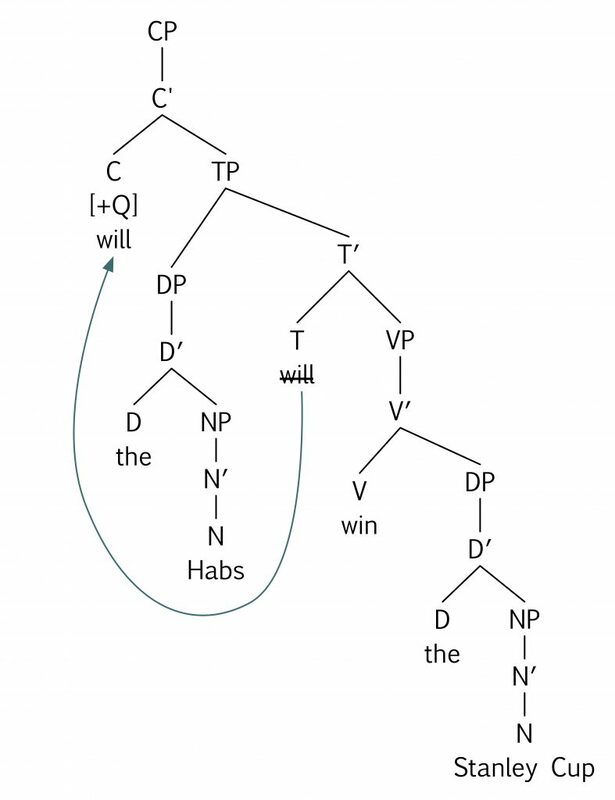 In Canadian French, the front tense vowels [y] and [i] become the lax vowels [ʏ] and [ɪ] in certain environments. Is it likely to be easy or difficult for a native speaker of Canadian French to learn the English contrast between /i/ and /ɪ/ (as in sleep and slip)? Difficult. 2. Arabic includes a contrast between a voiceless velar fricative [x] and a voiced velar fricative [ɣ]. Is this contrast likely to be easy or difficult for native speakers of English to learn? Easy. 3. In Cree, voiceless stops become voiced between vowels. Given that Cree has both voiced and voiceless stops in its phonetic inventory, is it likely to be easy or difficult for a native speaker of Cree to learn the phonemic contrast between /b/ and /p/ in English? Difficult. 1. What type of grammatical information does the inflectional affix in the word speeches communicate? Number. 2. What type of grammatical information does the inflectional affix in the word climbed communicate? Tense. 3. What type of grammatical information does the inflectional difference between he and him indicate? Case. 1. Which of the following best describes the derivation of the word assignment? Verb + -ment ➔ Noun. 2. Which of the following best describes the derivation of the word skillful? Noun + -ful ➔ Adjective. 3. Which of the following best describes the derivation of the word simplify? Adjective + -ify ➔ Verb. 1. In the sentence, “The room contained a bearskin rug,” what kind of compound is bearskin? Endocentric. 2. In the sentence, “Randy worked as a cowhand on the ranch,” what kind of compound is cowhand? Exocentric. 3. In the sentence, “Hyunji manages a bookshop,”, what kind of compound is bookshop? Endocentric. 1. Comparing the following sets of words, which would you predict would lead to greater blood flow in more areas of the brain? Humming, singing, whistling. 2. When shown a picture of a pair of tongs, a patient describes the picture, “You pick up things with it”. Which type of aphasia is this response more typical of? Anomic aphasia. 3. When describing an injury to his knees, a patient says, “no good uh ache and uh uh uh knees and ankles uh home doctor and legs”. Which type of aphasia is this response more typical of? Agrammatic aphasia. 1. What is the structural relationship between V loves and NP sushi? V and NP are sisters. 2. 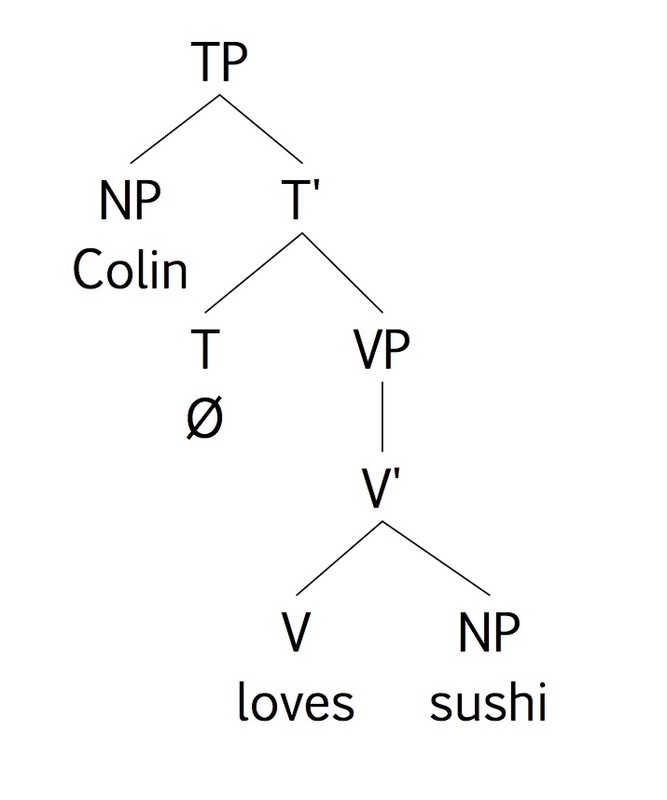 What is the structural relationship between NP Colin and V loves? 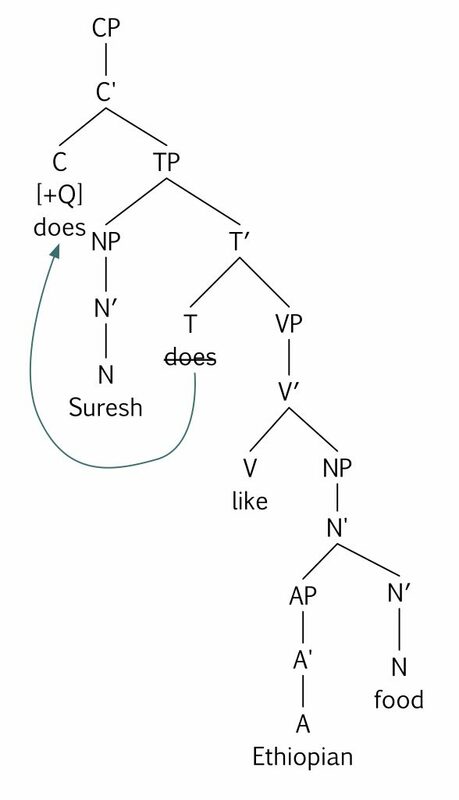 NP and V are not related in any of these three ways. 1. 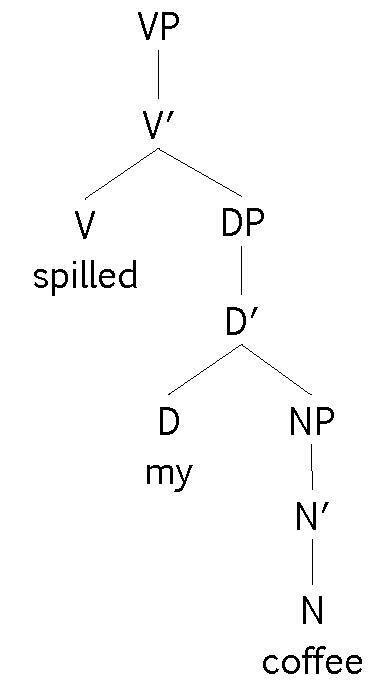 In this tree diagram, what position does the DP my coffee occupy? Complement. 2. In this tree diagram, what position does the D my occupy? Head. 3. 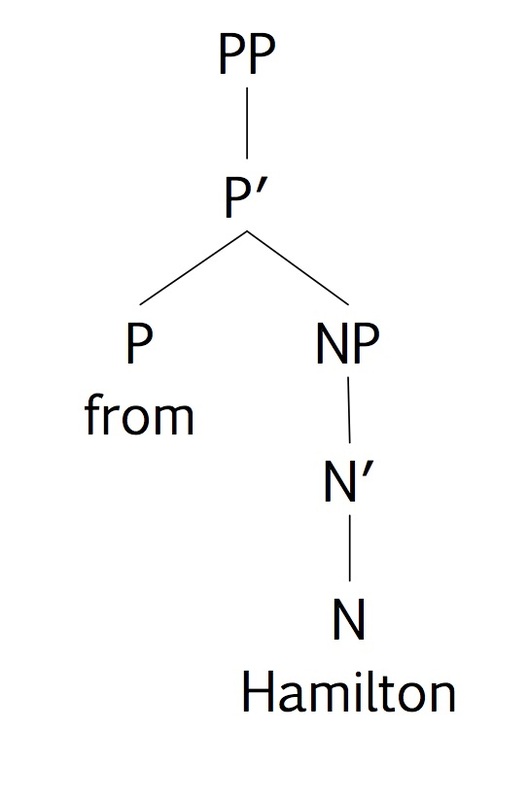 In this tree diagram, what position does the NP Hamilton occupy? Complement. 1. 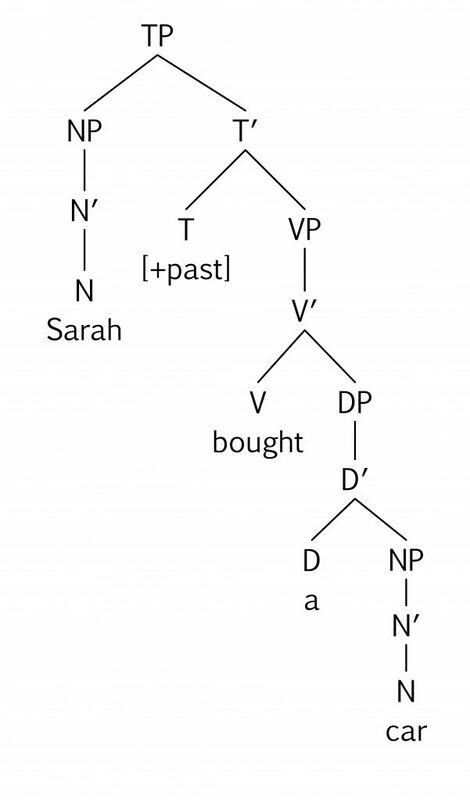 Which of the following is the correct representation for the sentence Sara bought a car? 2. 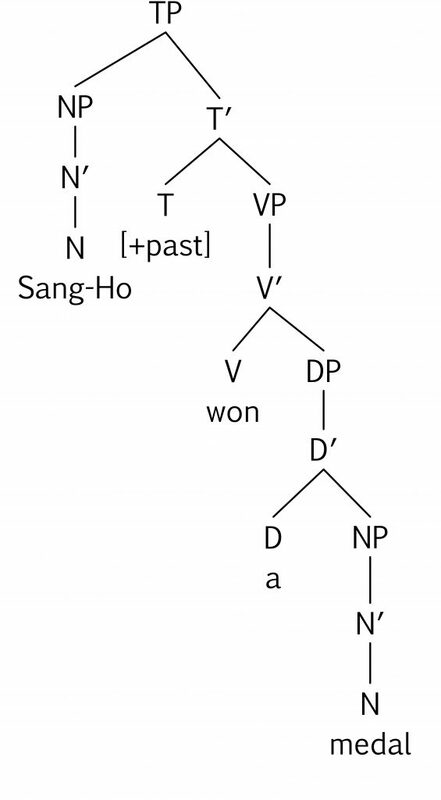 Which of the following is the correct representation for the sentence Sang-Ho won a medal? 3. 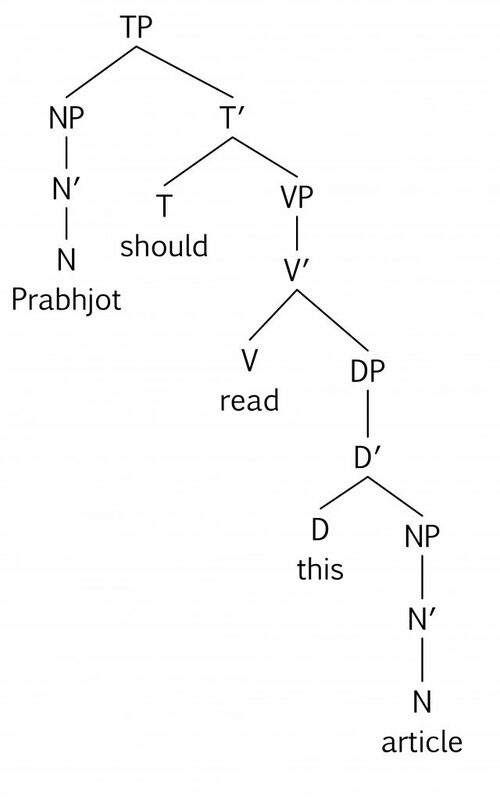 Which of the following is the correct representation for the sentence Prabhjot should read this article? 1. What is the subcategory of the underlined verb in this sentence? The soccer players kicked the ball. Transitive. 2. What is the subcategory of the underlined verb in this sentence? Many birds fly over Ontario each fall. Intransitive. 3. What is the subcategory of the underlined verb in this sentence? This game teaches children the alphabet. Ditransitive. 1. Is the underlined phrase an adjunct or a complement? Sam ran the Around-the-Bay race. Complement. 2. Is the underlined phrase an adjunct or a complement? Sam ran this morning. Adjunct. 3. Is the underlined phrase an adjunct or a complement? The baby slept through the night. Adjunct. 1. Which of the following illustrates the position of the trace in the wh-question What did Christina order at Chipotle? What did Christina order what at Chipotle. 2. Which of the following ungrammatical sentences gives evidence that unpronounced traces exist in our mental representations of sentences? *What did you eat sandwiches for lunch? 3. Predict which sentence would lead to more eye movements to a picture of a rabbit after the verb chase. What did the fox chase ^ into the hedge? 1. What label best describes the thematic role of the underlined NP? The guard chased the intruder. Agent. 2. What label best describes the thematic role of the underlined NP? The wind slammed the door shut. Cause. 3. What label best describes the thematic role of the underlined NP? The guard followed the intruder. Theme. 1. Is the following sentence in the active or passive voice? The patient was diagnosed with alopecia. Passive. 2. Is the following sentence in the active or passive voice? Eileen was convinced that her appointment had been cancelled. Passive. 3. Is the following sentence in the active or passive voice? The children had been invited to a tea party. Passive. 1. What kind of ERP is likely to be observed in response to this sentence? The children’s feet have grown so I bought them some new spoons. N400. 2. What kind of ERP is likely to be observed in response to this sentence? Elias told the coach that he wanted to learn to swam. P600. 3. What kind of ERP is likely to be observed in response to this sentence? Before the dinner party, Isla spent a long time in the cooked. P600. 1. French uses morphology indicate whether nouns, adjectives and determiners are masculine or feminine. If an L1 speaker of English is learning French, what kind of transfer are they likely to experience in learning this property of French grammar? Negative transfer. 2. Russian does not have definite or indefinite determiners like English a and the. If an L1 speaker of Russian is learning English, what kind of transfer are they likely to experience in learning this property of English grammar? Negative transfer. 3. Russian groups nouns by their grammatical gender, either masculine, feminine or neuter. Look again at the facts about French presented in Question 1. If an L1 speaker of Russian is learning French, what kind of transfer are they likely to experience in learning this property of French grammar? Positive transfer. 1. Sidney Crosby, Wayne Gretzy, and Maurice Richard, and ______________ of hockey player. Extensions. 2. Has pages, binding, and contains writing are all __________________ of book. Intensions. 3. Head of state, lives in the White House, and American are all ______________ of President of the United States. Intensions. 1. For most speakers of Canadian English in the category animals, giraffe is probably: Less typical than dog. 2. For most speakers of Canadian English, in the category pets, tarantula is probably: Peripheral. 3. Choose the set of features that best defines chair. [+furniture, +legs, +back, +seat, -blankets]. 1. Which of the following words would we expect to prime a target word carrot? Broccoli. 2. Which of the following words would we expect to prime a target word happy? Sad. 3. Which of the following words would we expect to prime a target word week? Month.